It is time to enjoy various delicacies especially the baked goodies. Be it relishing on a Monginis cake, a Cadbury celebrations pack or on Mom’s homemade cookies filled with love and care. 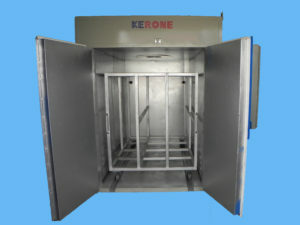 Acknowledging your cravings of the mouth watering items, KERONE has to offer Industrial Ovens of customizable sizes for various Industrial purposes. In this extract you get to know everything about a Baking Oven. Beginning with what is an Oven? Baking Ovens are major equipment for bakery process. In order to bake the products, Ovens use energy generation sources, e.g. : combustion of fuels (gas or oil) or electricity. The released available energy from these sources is transferred to the products by means of radiation, conduction or convection. The oven sets and maintains the proper conditions of heat, humidity, and temperature to carry out the baking process and the removal of moisture from the products to eliminate the possible existence of microbes improving the shelf life of the baked products. Meticulous baking would give us appetizing baked items with desired texture & taste. Not only the baking ovens, but also its supplementary accessories, being circulating fan, steam extraction chimneys, safety explosion doors, fire tube, burners, temperature controller & indicators, fuel system and baking moulds are of grave importance. For the selection of baking oven various dimensions are taken into consideration such as height, width, weight, chimney size, foundation method, electrical wiring and automation. 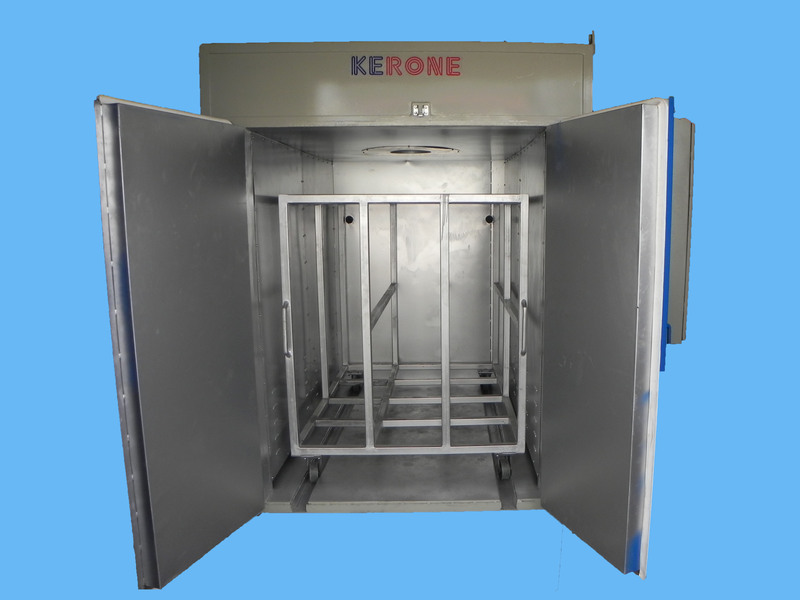 Keeping all these specifications in mind KERONE provides customizable Ovens to our valuable clients catering to their industrial requirements. Physical Characteristics: Rack, Rotary Rack, Tunnel, Swing, Tray Ovens etc. Heating: Direct, Indirect, Hybrid, Convection, Radiation etc. The type of oven that suits a bakery’s operation may be a function of production capacity, product specifications, floor space, available energy sources, operation efficiencies, construction materials, and maintenance needs. Installation of excellent Ovens alone is not important but timely maintenance is also vital. 1. Prevent food safety hazards – (physical, biological, and chemical) reducing foreign material contamination, under-processing, and contamination with lubricants. These hazards may pose a food safety risk to customers and the loss of a good reputation and money for the company. 2. Prevent equipment failures – (mechanical, electrical, and thermal) equipment failures that could have a negative impact on daily oven operations and increase downtime, triggering significant economic losses. Inspection and maintenance of equipment and calibration of measuring and instrumentation devices are vital for smooth oven operation. Baking Ovens are used for baking breads, cookies, biscuits, cakes, pizza and cream rolls and are also used for the functions of curing & drying. Accuracy, efficiency, machine quality and output quality are not just words but our commitment towards our profession since last 42 years, creating a base of more than 1000 loyal customers. Our baking oven systems are used to meet the varying demands of numerous industrial applications – all with a level of precision that manufacturers seek. We also provide detailed assistance for installation without much hassle of complex functioning of the machinery. We always strive to achieve more than client satisfaction with our timely delivery, quality and efficiency towards every oven manufactured by us. 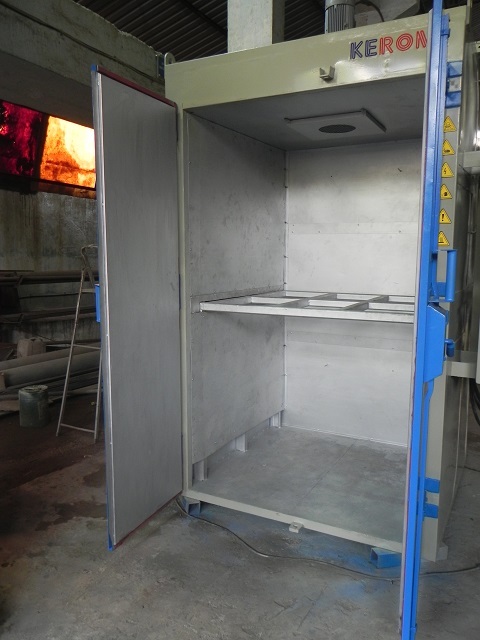 This entry was posted in Kerone and tagged Batch Oven, Continuous Type Oven, Industrial Ovens by admin. Bookmark the permalink.